Separated from her parents and escaped from the ghetto when eight years old. Did she ever see her parents again? Born in Krakow, Poland on June 2, 1934. In 1942, Anita and her two year younger brother Bernard, escaped from the ghetto and were hidden by their governess, Rozalia. The Kempler children managed to return to their home in the ghetto and were hidden for a while in a cloister, until they were discovered and sent to Plaszow concentration camp. Fortunately, their mother’s oldest brother, Sigmund Greenberg, was an architect and engineer, and was very much needed by the Nazis. He risked his life insisting that if the children were not allowed to live he would never work for them again. Anita and Bernard were later deported to Auschwitz-Birkenau for a brief time, but in the face of the impending invasion by Russian forces, the children were sent to Ravensbrück, a concentration camp that held women only. In 1945, Anita and Bernard were liberated and sent to Sweden by the Red Cross. 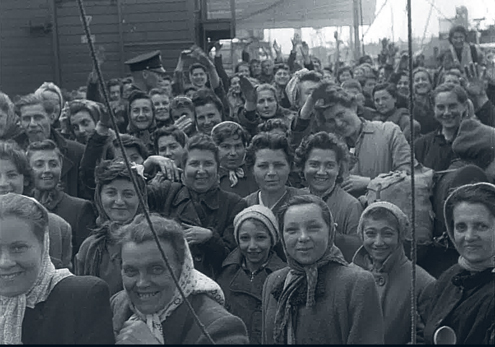 They arrived in Malmö on April 28, 1945. Eventually, through the Red Cross, the children were reunited with their parents. Their mother had survived the war in Krakow and their father had escaped to Uzbekistan. The Kempler family emigrated to Brooklyn, New York, in 1952. Later on Anita became a well known illustrator of children’s books. She’s written a book about her war time experiences, No pretty pictures (2000). Anita still lives in New York. If you would like to add information to Anita Lobel’s story we will be very happy to hear from you. Please write an email to our researcher Sebastian. 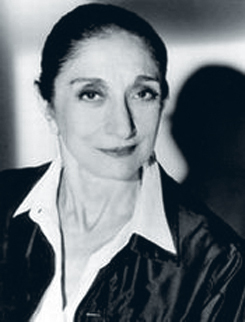 If you can help us with further information about Anita Lobel (Kempler) we will be very happy to hear from you. Please write an email to our researcher Sebastian. 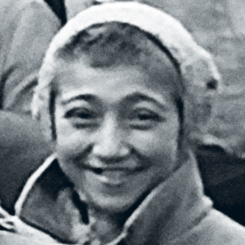 Anita Lobel (Kempler) and her brother Bernard arriving in Malmö on April 28, 1945. 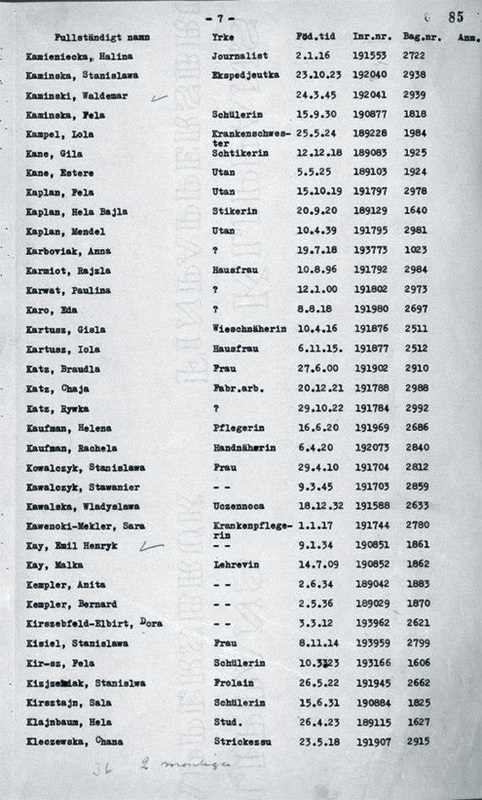 Anita and Bernard in the passenger list of polish survivors arriving in Malmö.